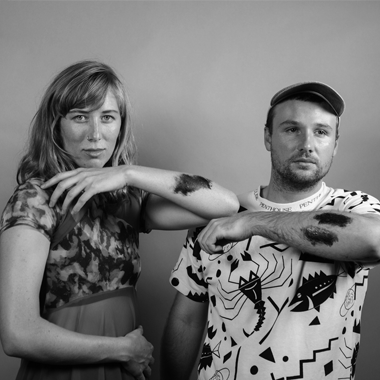 Pony Express is a collaborative body led by playwright and performance maker Ian Sinclair (1987, Australia) and transdisciplinary artist Loren Kronemyer (1988, USA). Through their pandrogynous collaborative process, Pony Express work across platforms of media art, live art, group devising methodology and an antidisciplinary approach to explore the themes of post-sustainability, apocalypse and the future, plunging participants into the environmental eroticism, testing boundaries of evolution and inhibition. Drawing their inspiration from Elizabeth Stephens’ and Annie Sprinkle’s Ecosex Manifesto, they have created a place where it is possible, in a secure, intimate and anonymous environment, freely to express your deep ecological desires.